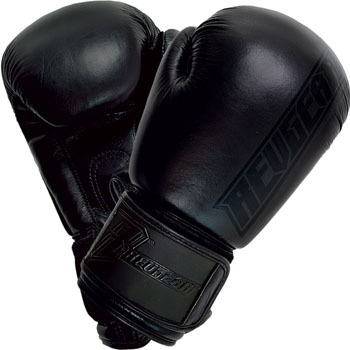 Perfect for sparring, the RevGear Elite Leather Boxing Gloves! The RevGear Elite Leather Boxing Gloves have a unique design unlike any other boxing glove. Its narrow profile fits through opponents’ defenses and allows for tighter, faster movements. The glove has extra high performance, high density padding on the entire punching area for supreme knuckle protection. Pre-curved, and made with Softech™ Leather to have that worn in feel at first wear. Palm opening for increased ventilation and water-repellant inner lining. Ultra-Lock™ hook and loop closure for wrist support and security. Attached thumb for safety. Sold as pairs. Available in 10z, 12oz, 14oz and 16oz sizes. The RevGear Elite Leather Boxing Gloves are available at MMA Warehouse.